Other photos: Viking Princess 61 Salon, Viking Princess 61 Salon, Viking Princess 61 Galley, Viking Princess 61 Dinette, Viking Princess 61 Salon, Viking Princess 61 Stairs, Viking Princess 61 Galley, Viking Princess 61 W/D & Freezer, Viking Princess 61 Dinette, Viking Princess 61 Lower Helm, Viking Princess 61 Master, Viking Princess 61 Master Vanity, Viking Princess 61 Master Head, Viking Princess 61 VIP, Viking Princess 61 VIP Head, Viking Princess 61 Guest Head, Viking Princess 61 Layout, Viking Princess 61 Flybridge Helm, Viking Princess 61 Flubridge Sink/Grill, Viking Princess 61 Side Decks, Viking Princess 61 Sightlines Fwd, Viking Princess 61 Bow, Viking Princess 61 Foredeck, Viking Princess 61 Foredeck, Viking Princess 61 at Dock, Viking Princess 61 at Dock, Viking Princess 61 at Dock, Viking Princess 61 Underway, Viking Princess 61 Underway, Viking Princess 61 Underway, Viking Princess 61 Underway, Viking Princess 61 Underway, Viking Princess 61 Underway, Viking Princess 61. One owner since new. Fast, elegant Euro-style motor yacht. November 2016 Update: New bottom, running gear service, all systems checked. This one owner Viking/Princess Sport Cruiser has had light use and fine maintenance over her history. Powered by the larger MAN 1050 hp engines, Seafari will cruise in the high 20’s with a top speed mid 30's. 3 staterooms and 3 heads with stall showers provide luxurious accommodations for a party of 6. Owner and VIP staterooms are almost equal in size with a smaller twin-berth stateroom for guests or crew. A large elegant salon with Ultraleather curved seating and wet bar includes a sunken galley to include the cook in the social hours. Accress to the huge flybridge is via salon and aft deck stairway. Storage is voluminous and well positioned including a lazarette with room for stores, spares, bicycles and golf clubs. SYS Yacht Sales is pleased to assist you in the purchase of this vessel. 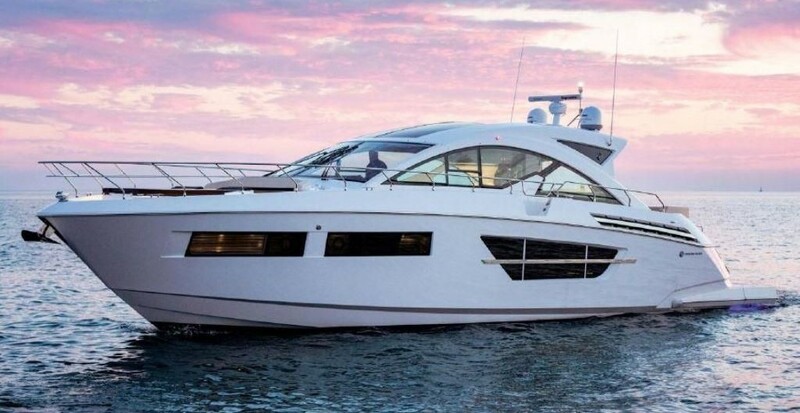 This boat is centrally listed by North Point Yacht Sales.